January 31, 2019 11:54 am. 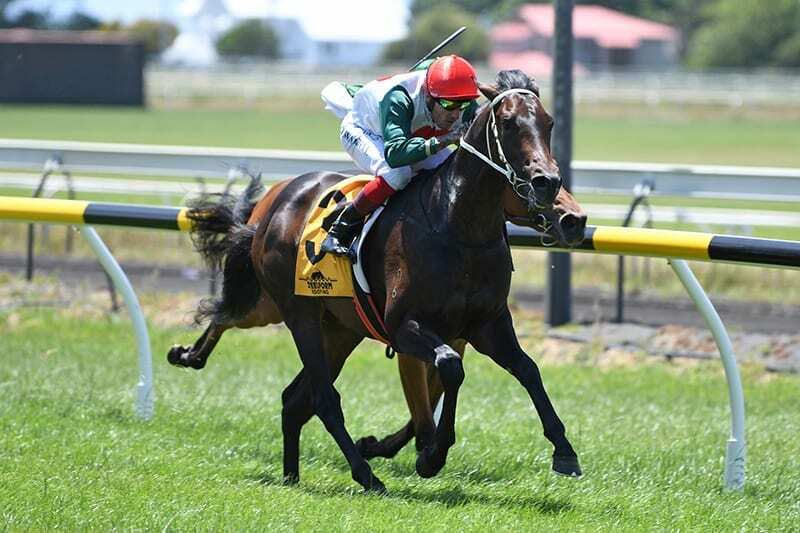 Cambridge trainer Stephen Marsh is thrilled with his Group 3 Woburn Farm Classic contenders Scotch and Chiaretta but less than pleased with their draws for Saturday’s 1200m New Plymouth two-year-old feature. Chiaretto drew barrier 10 of 11, while last-start course winner Scotch drew only marginally better in eight. “The draws are horrible. I couldn’t believe they both drew wide,” Marsh said. Despite the awkward draws, online bookmakers have installed Scotch and Chiaretta as the third and fourth favourites for the Woburn Farm Classic at $4.80 and $6 respectively in a market headed by the Jamie Richards-trained debutante Folk Dress at $4 and the Roger James-trained Hasstobegood at $4.50. “They are both very well,” Marsh said. “They both trialled brilliantly at Matamata. Scotch won nicely at New Plymouth and his trial was super. He’s come ahead in leaps and bounds. He was still green in that first race and didn’t know what it was all about but he’ll be better for that experience. Marsh has fillies Southern Queen and Kiwianna slated for Saturday’s Listed Fasttrack Insurance Oaks Prelude (1800m), while Masu is also down to race on the undercard.